A new call for Short Term Scientific Missions (STSM) for the 2nd year of the Action is now OPEN!! The 4th MC Meeting / 3rd WG Meeting of our StableNextSol COST Action will take place in Vilnius (Lithuania) 19th-20th October 2015. All MC Members and Project Members attending should have received the e-COST invitation. A budget of up to 860€ has been allocated to travel to the Meeting. Looking forward to seeing you in Vilnius! The 4th MC Meeting / 3rd WG Meeting of our StableNextSol COST Action will be held in Vilnius (Lithuania) 19th-20th October 2015. MC Members will receive the formal invitation to participate in due course. 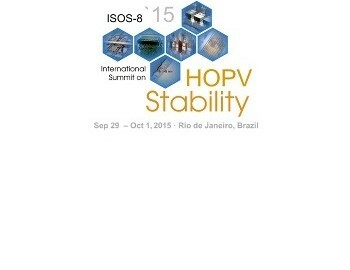 The 8th International Summit on Organic and Hybrid Solar Cells Stability (ISOS-8) will take place in Rio de Janerio (Brazil) on Sep 29th– Oct 1th, 2015, and will reunite speakers from all over the world. ISOS-8 will be co-located with the Brazilian Materials Research Society Meeting. The organization is led by Fernando Araújo de Castro and more information can be found here. The abstract deadline has been extended until June 15th. The call for Short Term Scientific Missions (STSM) for the 2nd year of our Action is now closed. However, keep sending your CVs for further evaluation steps! The STSMs will be held between June 2015 and May 2016. 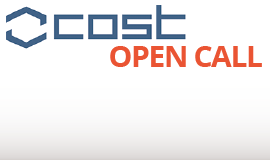 COST strives to support European scientists in their networking activities. The aim of a STSM is to contribute to the scientific objectives of a COST Action. These Missions (Inter-laboratory Exchange Visits) aim to strengthen the existing COST Actions by allowing scientists to go to an institution or laboratory in another COST country to foster collaboration, to learn a new technique or to take measurements using instruments and/or methods not available in their own institution/laboratory. They are particularly intended for young scientists. 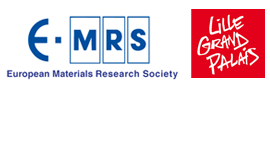 The 3rd MC Meeting / 2nd WG Meeting of our StableNextSol COST Action will be held in Lille (France) on 11th-15th May 2015, before the Symposium E of the E-MRS Spring Meeting. MC Members will receive the formal invitation to participate in due course. A budget of 600 € has been allocated to travel to the MC/WG Meeting (compatible to attend the E-MRS). Hotel: 100 €/night maximum (share with other Member is possible). Maximum of 3 nights. PLEASE DO NOT MAKE ANY TRAVEL ARRAGEMENTS UNTIL YOU RECIEVE THE FORMAL INVITATION BY EMAIL.